Yan Kow Cheong at Singapore Math gives some ideas for journal writing in math class. Terrance Banks at So I Teach Math and Coach? gives a great literacy strategy that encourages students to be the teacher. Bowman Dickson at Bowman in Arabia shares how to start class with whiteboarding (reading a graph is a literacy component, if you ask me!). For more graph reading, I posted two AP Calculus problems I think are great. Guillermo Bautista at Mathematics and Multimedia explains common errors in MDAS operations. Dan MacKinnon at mathrecreation shows beautiful patterns that arise in the multiplication tables that we were all told to memorize in grade school. Glenn gives a pretty snazzy visual representation of quadratic equations that have complex solutions. Jeff Brenneman at Trust Me-I'm a Math Teacher shares a project idea in which students identify the key issues to winning the 2012 Presidential election. Bon Crowder at Math is not a Four Letter Word shows how to get children thinking about graphing using a Lite-Brite. Lilac at Learners in Bloom shares some great ideas for introducing inequalities and pattern-recognition to your preschooler (whoa)! Mrs. M at The Daily Cupcake shares eleven awesome activities for kindergarten students learning numbers 0-5. @reminoodle at The MathSmith describes a group project she gives every trimester for students to create their own review games. Be sure to check out the impressive pictures! Christy at Just Another Step to Take gives five ways to create homemade board games for practicing math facts. Jennifer Smith-Sloane at Live. Teach. Create. shares an awesome foldable for converting fractions, decimals, and percents. Denise at Let's Play Math! gives tips on how to teach math to your children, even if you experience math anxiety. Peter Glynn at Nature Math has started a discussion on why some kids hate math. Colleen Young at Mathematics, Learning, and Web 2.0 gives some great back-to-school advice. Jimmy Pai at The Pai Intersect discusses both his interests in and his concerns about flipping a classroom. Cindy Johnson at The Conic Card Lady's New Adventure shares fantastic advice to new high school teachers. The next installment of MTaP will be held at Mathematical Palette! Submit your responses here. Also, be sure to check out the latest Carnival of Mathematics and Mathematics and Multimedia Carnival. 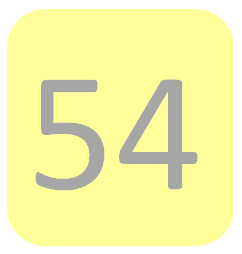 Submit your posts for Math Teachers at Play #54!